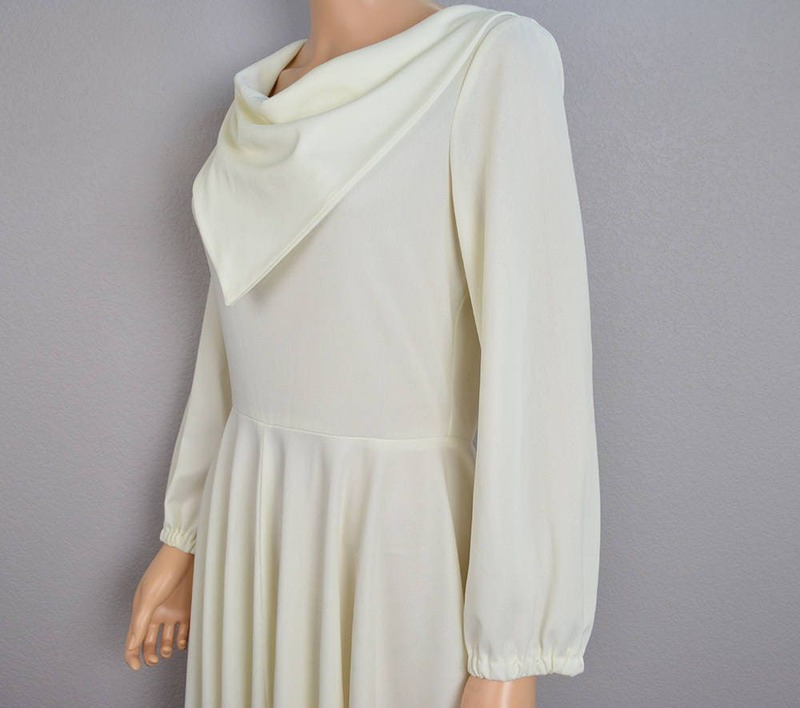 Cool and unique 70s white disco dress for sale. 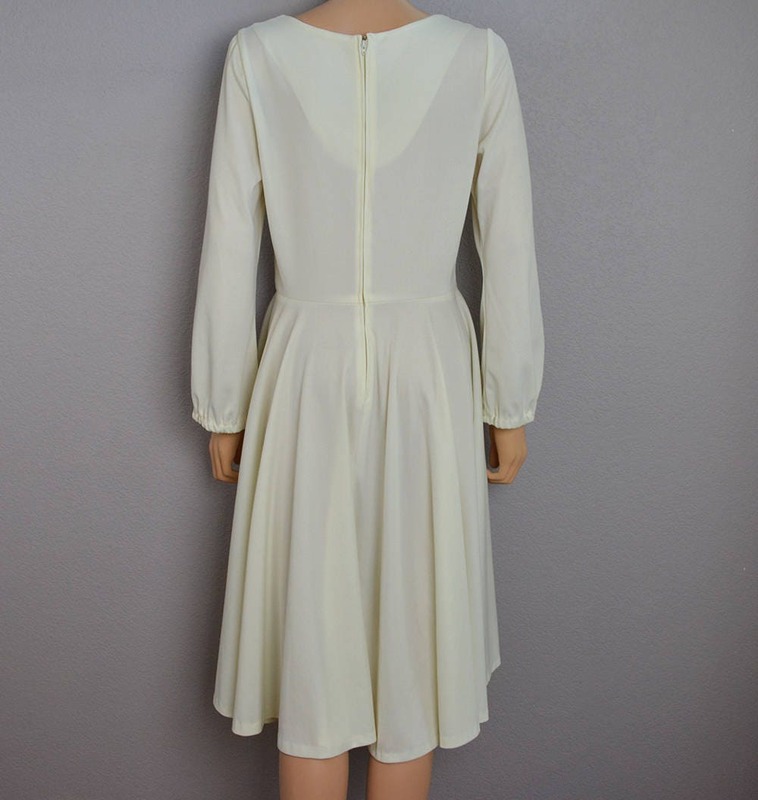 This is a very pretty and flowy dress perfect for dancing and twirling. 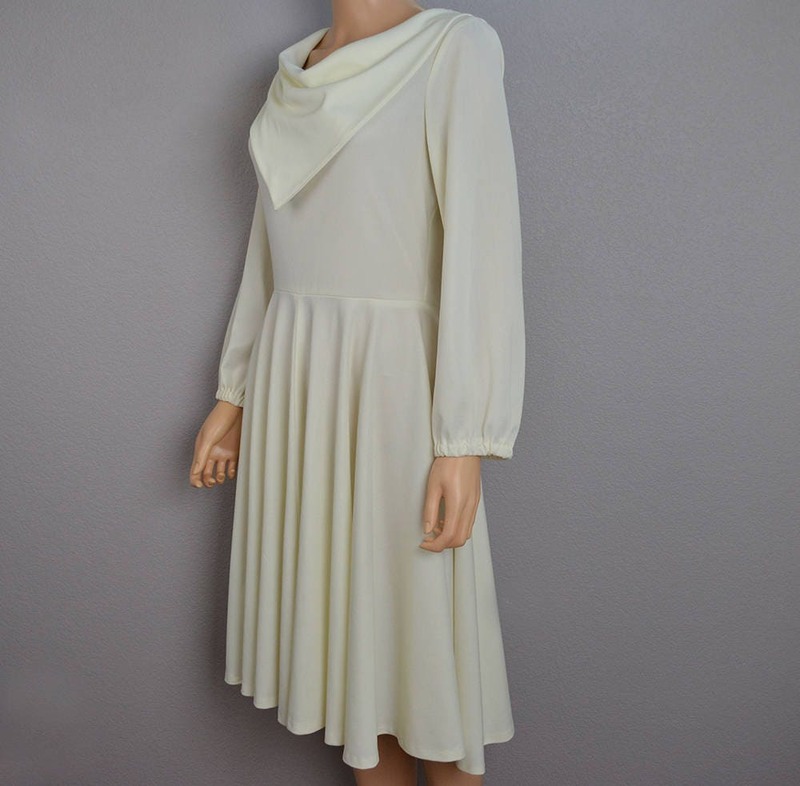 It has a large cowl neck. This is in very good vintage condition. It is a bit sheer in the bright light so you will want to wear the proper undergarments underneath. 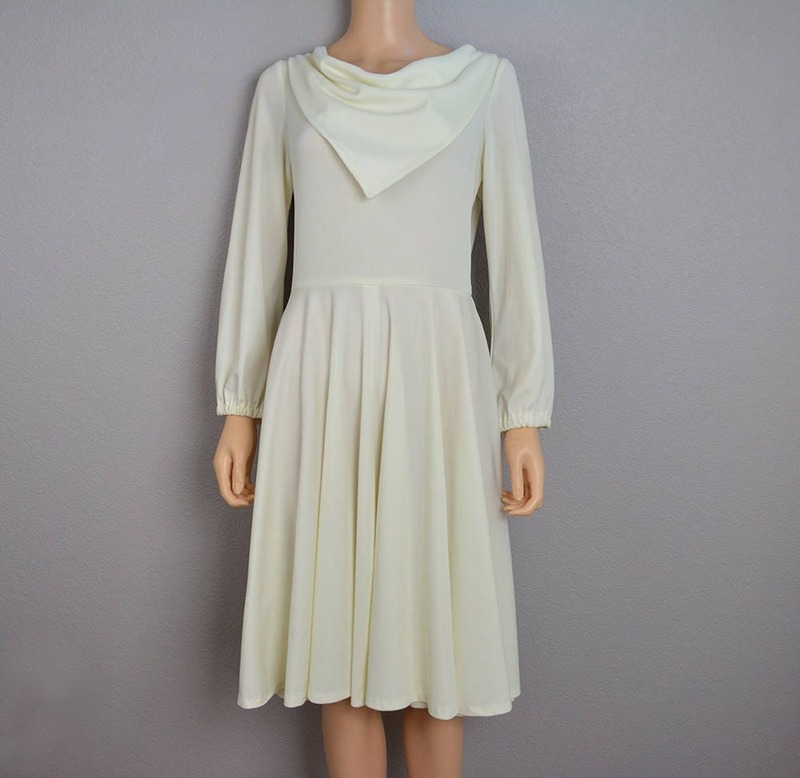 I think it is polyester, but I am not 100% certain. Size: No size tag, but I would estimate to be a medium. Please refer to the measurements to ensure fit.